The foreign exchange market has long been the most decentralized and opaque of all markets. As a result, FX traders labor under major informational disadvantages compared to their peers in other asset classes. Unlike equity markets, where SEC regulations mandate that public exchanges report transaction prices and daily trading volumes, FX boasts no such unified data sources. There are no central exchanges, pits or bulletin boards. Instead, FX transactions take place via a million phone calls, client visits, email threads and trading platforms. The entire market is over-the-counter, party to party, and nobody knows what anybody else is doing beyond the price they’re bidding and offering. Volume is an imperceptible undercurrent. Investment banks see some flow, but it’s fragmented and hard to extrapolate from. 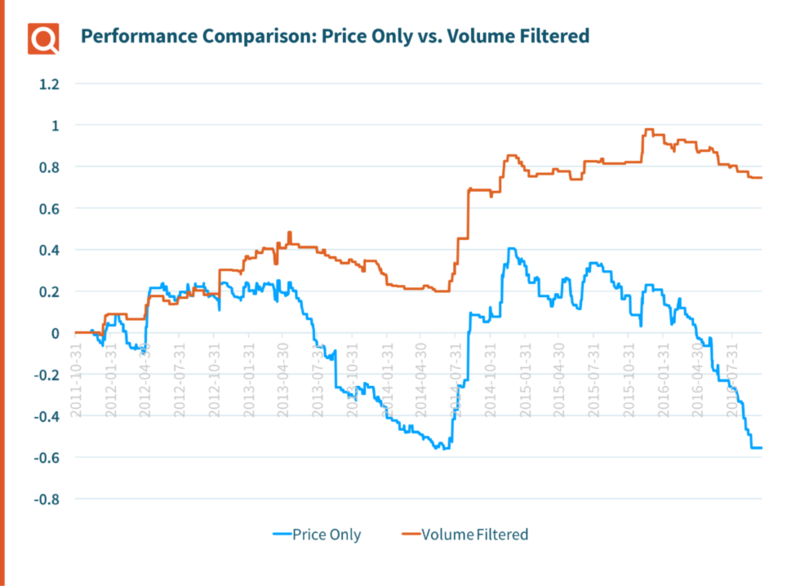 Futures offer a proxy for volume, but represent only a small fraction of the currency market. No single institution has visibility into the totality of FX transaction volumes. Thus, to mitigate this lack of transparency, FX traders, quants and researchers have had to develop a plethora of complicated models and algorithms to execute efficiently and reduce transaction costs in an information-sparse environment. Already prevalent in the equities markets, execution algorithms are frequently used as a strategy to lower transaction costs and avoid negative slippage. In the FX industry, however, they take on an even more fundamental role — that of surveying liquidity opportunities. These algorithmic execution strategies are built as stealth machines, adapting quickly to small market movements to exploit possible moments of high (or low) volume, ideally with little detection. They go by cogent codenames like Chameleon, Viper and Mirage. But they all boast one commonality: to try and infer volume. Sometimes they “iceberg,” showing only a small part of their order, leaving the majority invisible under the ocean’s surface. Sometimes they are passive, allowing the market to come to them, never hitting a bid or lifting an offer, but proving an impenetrable level of support or resistance. Sometimes they attack, aggressively filling all liquidity available on all platforms — long-term slippage be damned — they just want to transact and be done with it. Other times they adapt; after all, they’re often trading against other algorithms, and must second-guess the actions of those rivals — it’s an evolutionary arms race. They correlate trade sizes across brokers and platforms, using published statistics, market share estimates and regulatory disclosures. They test liquidity a thousand times a day, on hundreds of crosses. They track currency futures, precious metals and short-term interest rates – all instruments that are tightly linked to spot currency trading. They infer volume because they must; without it, they would be flying blind. But these algorithms are still constrained because they lack a key piece of the puzzle: quantifiable volume data. The decisive metric that can validate price, breakouts or exhaustion. While the FX market is notably fragmented, there is one consortium with a view into more than 50% of the world’s total FX transactions. CLS settles FX transactions in 18 major currencies, providing an unrivaled view into currency market volume. They have used this visibility to create the first true, definitive, global FX volume database. And they are for the first time making this database available to customers, via Quandl. Using this hourly or daily volume data, FX traders can finally reduce their reliance on complex algorithms and act on proven volume strategies equity traders have long taken for granted. This new view into the currency market can potentially eliminate the need for complex execution algorithms to infer volume, empowering those traders to use actual liquidity signals. With volume data, not only can FX traders end their reliance on the likes of Chameleon and Viper, but they can also take advantage of volume-based trading strategies long used in equity markets — strategies like volume breakouts, as in the Bollinger Band backtest we recently conducted. That’s not to say the algo wars will stop anytime soon. To the contrary, execution desks will only design ever more sophisticated tools driven by a richer set of base data. Algorithmic trading programs are insatiable beasts and, by feeding them more and more data points, they will only become stronger and play an even more fundamental role in our financial system. We’ve already taken a huge step forward with the distribution of hourly CLS currency data, which is yet another unique dataset from Quandl that is helping to make our customers better investors. As we continue to supply new sources of actionable insight and more crucially, alpha, we look forward to seeing how the financial world evolves their execution strategies based on a new reality. The Cost of Free Data: Why Use Premium Stock Prices?